Maureen is one of the ladies in the local sewing group near home that I have recently joined. She has always got something little that looks special in her sewing basket. 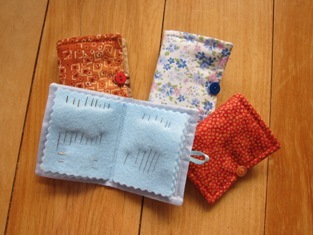 A couple of weeks ago, before we finished up at lunch time, I turned around and saw her cute needle case. 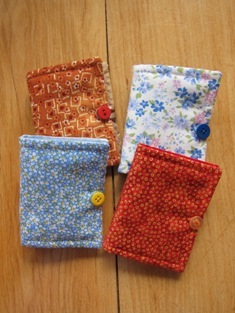 After a brief admiration, she kindly lent it to me, I came home and went a little crazy with my scraps and making 6 of the needle cases that afternoon. I have kept one of the cases (with yellow button) for myself and given the rest away.